The ACL Guide to Giving Good Gifts. | A Continuous Lean. It happens to almost be the most wonderful time of the year. The time when you dedicate a significant portion of your mental capacity, love and energy to (hopefully) giving the perfect gift. With this in mind personally I dedicated myself to combing through the extensive offerings from Barneys New York to find the best gifts for everyone in your life. I hand-selected a range of items which I consider to be the best of the best for everyone from your hard to impress mother-in-law to the made in USA loving dad and many more. Here’s the look book with all of those gifts. It’s also worth noting that many of these selections will also serve as worthy gifts for yourself, should you just decide to treat yourself. Can’t say I haven’t ever done something like that. 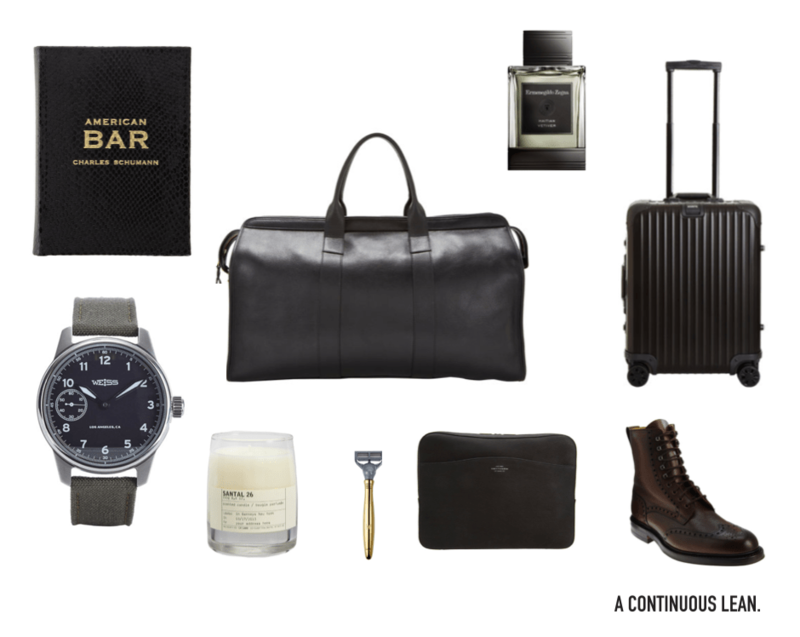 With such a vast selection of great brands Barneys New York has reigned supreme when it comes to my own personal gifting quest over the years and this holiday season is no different. So getting the opportunity to team up with them to present a complete gift guide is basically as good as it gets. I worked hard to find a diverse, interesting and thoughtful selection of gifts with a focus on quality and longevity which will last for years to come. What about that dapper shirt Michael is wearing for his headshot in the gift guide? Is that Rag & Bone? I expected more outrage from when you bought Wallace and Barnes chinos rather than RRL. Seriously, some extremely nice picks.